Every Windows product has a lifecycle. The lifecycle begins when a product is released and ends when it's no longer supported. Knowing key dates in this lifecycle helps you make informed decisions about when to upgrade or make other changes to your software. End of support refers to the date when Microsoft no longer provides automatic fixes, updates, or online technical assistance. This is the time to make sure you have the latest available update or service pack installed. Without Microsoft support, you will no longer receive security updates that can help protect your PC from harmful viruses, spyware, and other malicious software that can steal your personal information. For more information go to Microsoft Support Lifecycle. Prior versions of Windows, including Windows 7 and Windows 8.1, have limited support when running on new processors and chipsets from manufacturers like Intel, AMD, NVidia, and Qualcomm. For more information, please see the Support Lifecycle FAQ. * Support for Windows 7 RTM without service packs ended on April 9, 2013. Be sure to install Windows 7 Service Pack 1 today to continue to receive support and updates. ** Updates are cumulative, with each update built upon all of the updates that preceded it. A device needs to install the latest update to remain supported. Updates may include new features, fixes (security and/or non-security), or a combination of both. Not all features in an update will work on all devices. A device may not be able to receive updates if the device hardware is incompatible, lacking current drivers, or otherwise outside of the Original Equipment Manufacturer’s (“OEM”) support period. Update availability may vary, for example by country, region, network connectivity, mobile operator (e.g., for cellular-capable devices), or hardware capabilities (including, e.g., free disk space). Mainstream support—Microsoft will offer mainstream support for a minimum of 5 years from the date of a product's general availability. For example, if you buy a new version of Windows and five years later another version is released, you will still have two years of support left for the previous version. Extended support—Microsoft will offer extended support for a minimum of 5 years from the date of a product's general availability. For more details on the difference between mainstream support and extended support, refer to the Microsoft Support Lifecycle Policy FAQ. What should I do when the version of Windows I'm using reaches its end of support date? You can either install the latest available update or service pack or you can upgrade to a newer version of Windows. For more information, see What does it mean if my version of Windows is no longer supported? How does the end of support for Windows XP affect my business? Learn why Microsoft ended support for Windows XP SP3 and Office 2003, what it means to you, and how you can get access to all available tools to begin your migration. End of sales refers to the date when a particular version of Windows is no longer shipped to retailers or Original Equipment Manufacturers (OEMs). Examples of OEMS are Dell and Toshiba—PC manufacturers who often preinstall Windows software. This table gives end of sales dates for specific Windows operating systems. * Note that when the retail software product reaches its end of sales date, it can still be purchased through OEMs (the company that made your PC) until it reaches the end of sales date for PCs with Windows preinstalled. How long can OEMs sell devices with a prior version of Windows installed? When Microsoft launches a new version of Windows, we will continue to allow OEMs to sell PCs preinstalled with the previous version for up to two years after the launch date of the new version unless otherwise announced. Certain OEM versions of Windows products include downgrade rights (as outlined within the software license terms). Downgrade rights make it possible to use a previous version of Windows instead of the licensed software preinstalled on a new PC. See Downgrade rights for additional details. How long can retailers sell a prior version of Windows? We will continue to allow retailers to sell the previous version of Windows for a year after the launch date of the new version. How long will Volume Licensing be available for a prior version of Windows? For Volume Licensing programs, licenses will continue to be available through downgrade rights after the end of general availability. General availability of licenses for the previous version of Windows will cease as soon as the new version is available, or when otherwise determined by Microsoft. However, we will make media available for the current version as well as the previous two versions. Service packs and updates are part of the process of keeping Windows XP, Windows Vista, Windows 7, and Windows 8 up to date. Service packs combine the latest updates and fixes into one package or download. A service pack can include security and performance improvements as well as support for new types of hardware. To install the latest service pack for Windows XP, Windows Vista, or Windows 7, or to install the latest update for Windows 8, visit the Service Pack Center. What is the support policy for Windows service packs? For Windows XP, Windows Vista, Windows 7, and Windows 8, support ends 24 months after the next service pack releases or at the end of the product's support lifecycle, whichever comes first. If you are using software without the latest service pack you won't be offered any new security or non-security updates, although preexisting updates will continue to be offered. Refer to the Service Pack Lifecycle Support Policy for further information. If my version of Windows offers regular update notices, does that mean I have a service pack installed? Not necessarily. Update notices only indicate your software has not reached its end of support date. To find out if you already have a service pack installed, read the information on our Windows Update page. To install the latest Windows service packs, see the Service Pack Center. What is the support lifecycle policy for the Windows 8.1? You can find this information on the Windows 8.1 Support Lifecycle Policy page. Where can I find information about service pack support for Windows Server products? See the following table for service pack support information. Support for Windows 2000 ended on July 13, 2010. 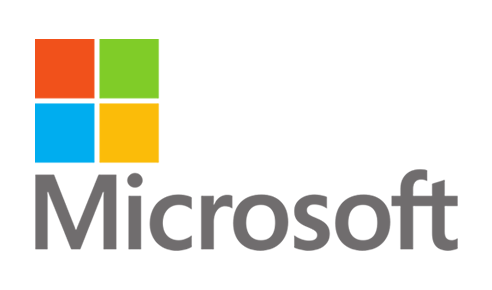 Microsoft is no longer producing public monthly security updates or service packs. To use prior versions of Windows software on PCs installed with newer versions, it is possible for consumers to obtain a license for downgrade rights. These downgrade rights will vary depending on if the software was acquired via Volume Licensing, OEM, or FPP. To learn more about these rights, review the downgrade rights licensing brief. From network, security and custom web services SRC Data will help you jump start your business.